One of our favorite things to do in Pennsylvania Dutch Country is eat! As a matter of fact, condensing our cultural past-time down to just six iconic dishes is nearly impossible. So here’s a twist to make it a little more entertaining: we focused on Lebanon City, added a little extra local flair, and made it all within walking distance! 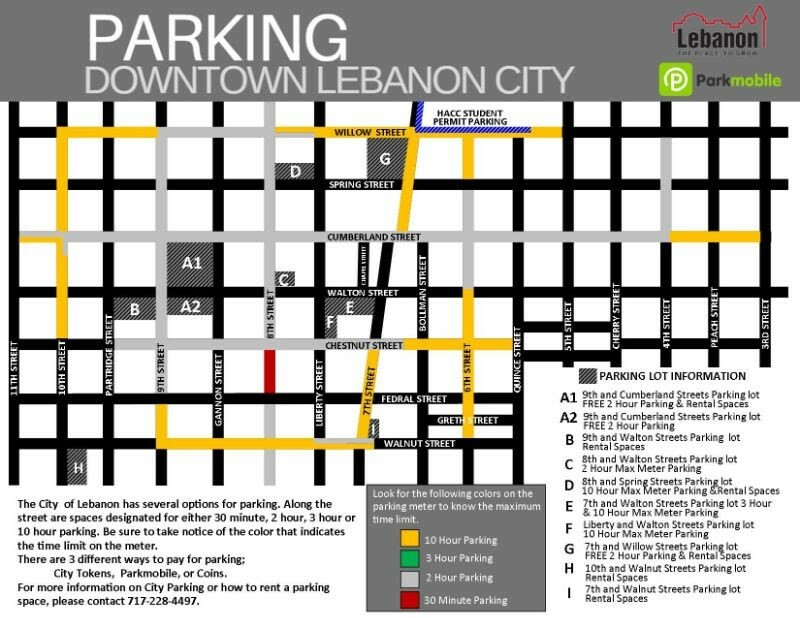 Your challenge is to grab a central parking spot (here’s a handy parking map) and take a walking tour of the city. We’ll take you from breakfast to lunch (including snacks in between) with this yummy list. Enjoy a stop at The Timeless Cafe for this time-honored delectable use of scrapped meat. Chef and owner, Dwayne Spencer, adds a dollop of apple butter or you can top yours with maple syrup to taste. Ceballos Bakery isn’t likely to make your expected Pennsylvania Dutch foodie list, but they’re an absolute staple in the Lebanon City community. The quesito is a traditional Puerto Rican pastry that offers a cream cheese filling you’ll want to enjoy freshly made. Just make sure to get one before they run out! If you’ve never been to Wertz Candies, you’re in for a treat! With hundreds of candies to choose from it can be overwhelming. Start with the Lebanon Valley original, Opera Fudge. After that, shop like no one’s looking and the calories don’t count. Head to Snitz Creek Brewery for no less than FIVE menu items including Lebanon’s tastiest claim to fame. And if you’re over 21, don’t forget to try their Flagship Beer, the Seltzer’s Smokehaus 7! While Hidden Still Spirits has an extensive food and spirit offering, their fresh take on pierogies is a must try. Pictured here with pickled red onion, cinnamon apple compote, chipotle sour cream – trust us – it’s a game changer. Hopefully you saved room for one last savory treat. We love our soft pretzels so much that the Lebanon Farmers Market has two stands ready to serve you a warm, freshly made soft pretzel!